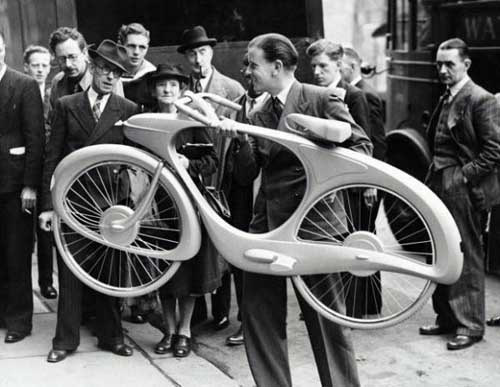 Benjamin Bowden’s futuristic and streamlined bicycle design was first introduced at the 1946 exhibition, Britain Can Make It. Initially called the Classic, Bowden’s bicycle featured an organically curved frame made of aluminum and was equipped with an electric motor that stored downhill energy. Though a critical success, Bowden’s bicycle was not manufactured until 1960. Bowden with his Spacelander at the 1946 exhibition Britain Can Make It. Produced by Bombard Industries of Michigan, the 1960s Spacelander is a modified version of Bowden’s original design. The single-speed Spacelander features a fiberglass body, battery operated lights and a push-button horn. Ultimately, the production of this space-age bicycle proved to be costly and it is estimated that only 522 examples were ever made. 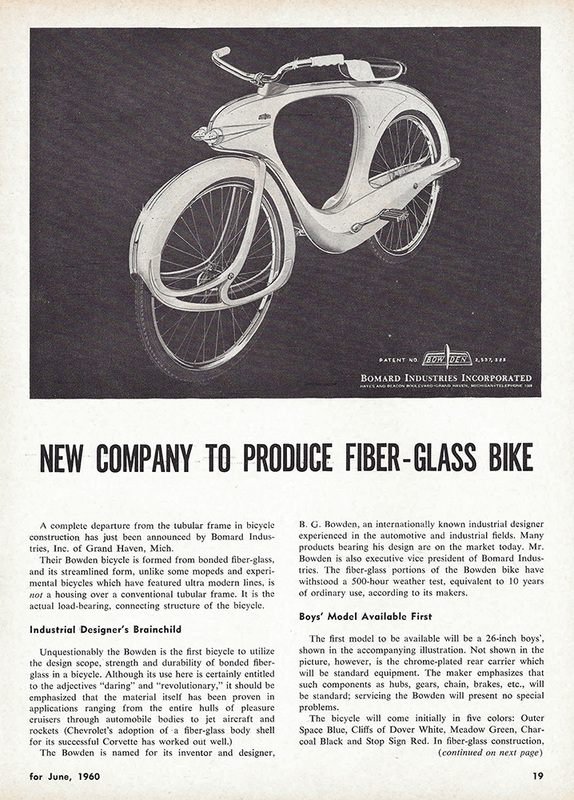 A 1960 advertisement in American Bicyclist featuring Bowden&apos;s Spacelander for Bombard Industries.